THE FRENCH ARTIST JEAN DUBUFFET began his career as a painter, during an era and in a country in which painting was the premier and preeminent medium within the arts. Oil pigments and canvas were adjuncts to prestige and social distinction in ways that are difficult to fathom within our era of digital ubiquity. Painting was a profession. It brought fortune and acclaim. Salons and exhibits held sway in the upper echelons of culture. Painting was power. Yet as the career of Jean Philippe Arthur Dubuffet (July 31, 1901 – May 12, 1985) progressed, he found himself drawn to the vast untethered realms of individual expression, realms devoid of ambition, training and preconceptions. At first, he incorporated rough and course physical materials into his painting. When painting proved unsatisfactory, Dubuffet incorporated rough, physical artists into his worldview. By the 1940s, his social circle and philosophical peers reflected his own search for immaculacy beyond boundaries. He befriended some of the art world’s most unflinching extremists: Louis-Ferdinand Celine, the nihilistic, blackly comedic author, whose bleak perspective and vulgar vernacular revolutionized the French novel; and Antonin Artaud, the dramatic theoretician whose self-obliterating efforts redefined the interaction between performer and spectator within the theater, and lunged to dismantle the barrier between artistry and lunacy beyond the theater’s fourth wall—and its fifth. These ideas gripped Dubuffet, and dragged him toward a sphere of obsessive creativity that was harrowing in its rigorous isolation and self-contained fecundity. He delved deep into the creative compulsions of those deemed “outside” of society, individuals whose imprisonment and/or madness precluded any serious consideration of their self expression, people for whom society—high, low, or otherwise—was no more accessible than the surface of the moon. Within the cells of prisoners, the minds of psychotics, and through the eyes of the mentally ill, Jean Dubuffet found the purity and persistence of vision for which he yearned. He coined it Art Brut, “Raw Art”; in the UK, critics translated it as “Outsider Art.” It wasn’t a form of expression as primal as the artist urge—it was the primal artistic urge, in its most virginal and distilled form, completely unadulterated and without guile; sometimes without hope, but just as often with moments of soaring, ecstatic annihilation. Dubuffet spent much of the 1950s supporting outsider artists, gathering and collecting their work, and lobbying within the conventional art world in an attempt to sway eyes and ears and minds in the direction of some profoundly unconventional talent. He also continued with his own creative endeavors, segueing from painting to large-form, amorphous sculpture. He also tinkered with audio recordings. 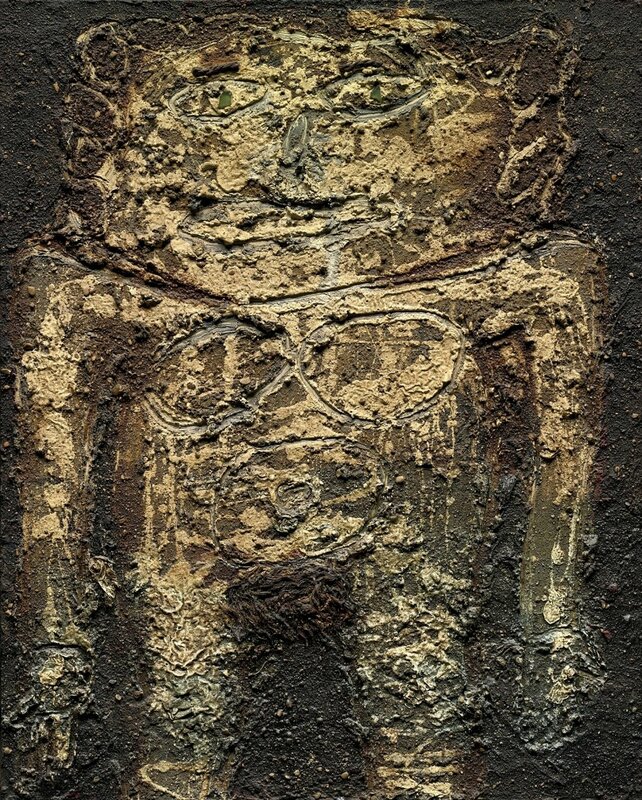 In the early 1960s, Dubuffet teamed with the Swiss painter, Asger Jorn, a friend of the notorious provocateur Guy Debord, and a co-founder of the Situationist International. Together they embarked on a series of loosely improvised, freeform expressions of inner persona. Their collaboration, prosaically titled Experiences Musicales (Musical Experiences), was original released in 1961 as a 6xLP boxed set by Edizione del Cavallino, of Venezia, Italy, in an edition of 50; a CD version was issued in 1991 by the French label Circe. 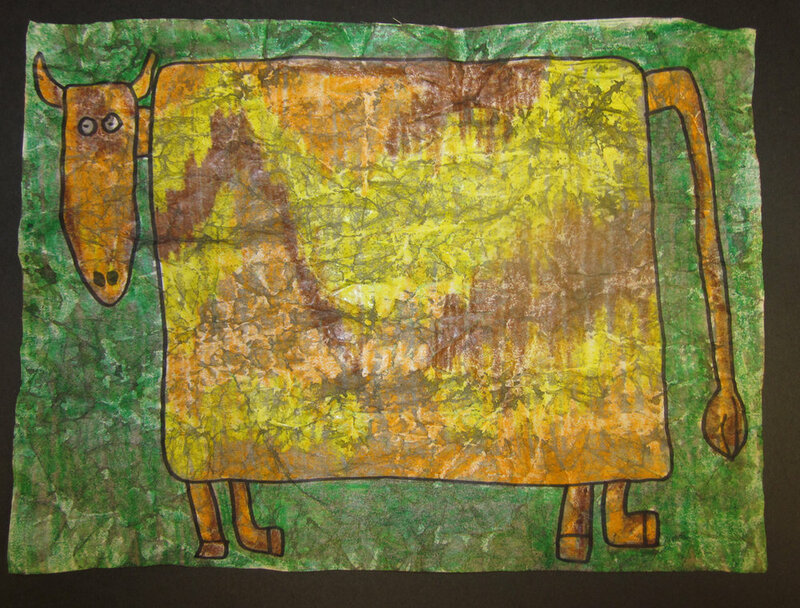 Art Brut represents a victory of the covert above the overt, of egalitarian balance and cleansed perceptions. 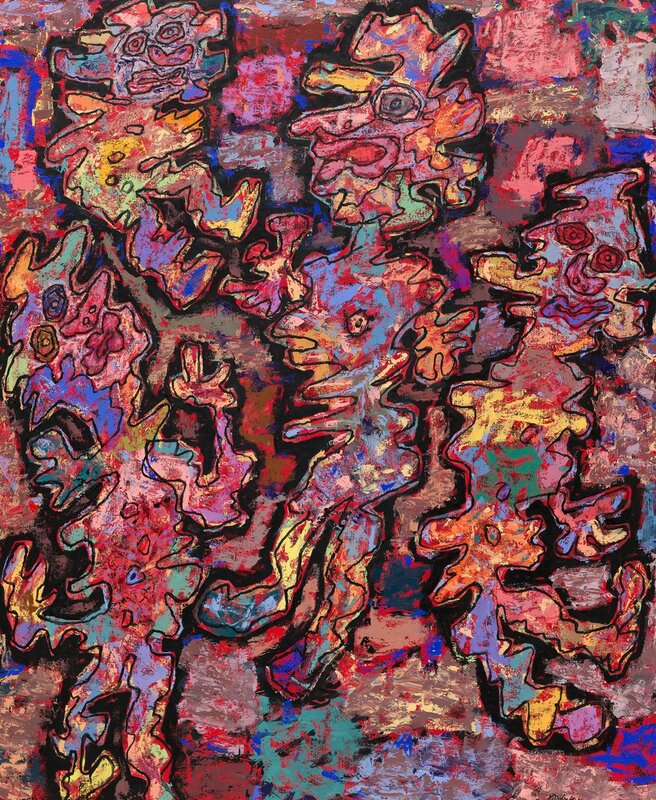 To Dubuffet, sound was an inexorable necessity of daily experience, and with his own unique brand of childlike whimsy, he imagined a daily soundtrack of existence, in which the subliminal din of the imperceptible—aging geology, growing foliage—competes with deliberate composed song and day-to-day, mechanized tumult. Experiences Musicales is a fascinating historic document, although well-versed ears of the 21st century may find its supposed aural heresies charmingly quaint. Still, it’s a unique component of Dubuffet’s oeuvre that rewards scrutiny. For Dubuffet, there is a pleasantly benign, vaguely Orwellian tilt to the logic of the cosmos: Chaos is Peace; Madness is Bliss. Throughout his recordings, painting, sculpture and writing, Jean Dubuffet attempts to illustrate a fundamental tenet, one that is worth considering when deliberating “insider” versus “outsider” modes of creativity. To Dubuffet, the craft of those on the periphery of society constitutes the purest and sanest form of human expression, relieved from commerce and ego, bound only by the limits of infinite imagination. If that is the case, then the isolated and imprisoned image-maker is the authentic artist, and experiences complete freedom. The psychosis lurks on the stark walls of our galleries, and cavernous museums are our cultural prisons.